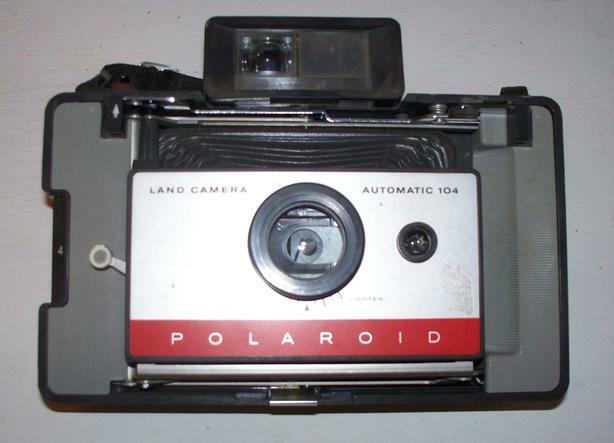 Vintage Polaroid Land Camera Model 104. The 104 was made from 1965 until 1967. One of the earliest 'consumer' models of the 100-400 series line of folding Packfilm Land Cameras, this model features a non-folding, Polaroid-designed zone focusing system and a 2 element plastic lens. Comes complete with removeable cover and empty film pack. We are downsizing in preparation for selling and moving. Please check out my other ads. Reply to this ad or call / text Al at 780-903-9238 for quickest response.